Reduced to coffee hour, often our fellowship takes place only in this hall. 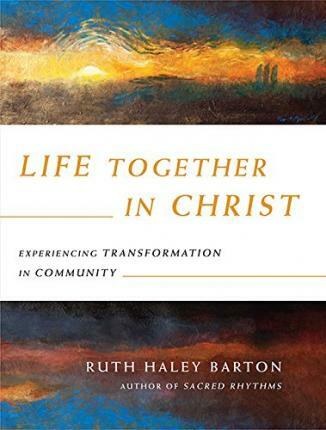 Community, Ruth Haley Barton writes, is “the most ‘overpromised and underdelivered’ aspect of the church today.” We grab a quick bite to eat and offer a quick, “Hello” before rushing off. We prioritize meetings over meeting people. Never looking up from our plates, our important papers, our phones, our eyes never meet. We remain more connected to our appetites, agendas and Apps. Connection without community is the reality of many– not just in our world but sadly, in our churches. Many of us are pew participants, members of a building—not the body of Christ. Because we cannot be a body on Sunday mornings alone. Our communion does not stop at the table. We can’t be the body of Christ and have “church friends.” No, we are related now, siblings of Christ’s cross. The Christian life is not fidelity to a day of the week but the day of the Lord. Community is easier preached than practiced. But, Bonhoeffer reminds us that it is not a promise that we should make and truer still, it is not a promise that we can keep. We cannot hold ourselves together. Only the hands of Christ are able. That’s how Christ’s body works. Amen.